Participate in New Delhi Blog’s 1st Anniversary Quiz & Win Goodies! 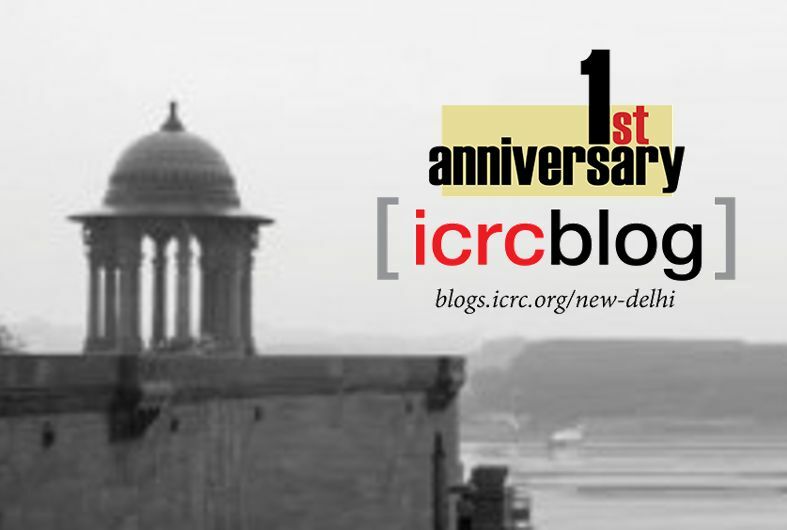 It has been exactly one year since the ICRC New Delhi blog started bringing you stories from the region and from across the globe on various situations of humanitarian concern and of our organisation’s committed support to them. This blog space thrives today owing to the contribution of readers, writers, researchers and our humanitarian partners. The response received has been especially heartwarming, given today’s increasingly complex context where the challenges to humanitarian work continue to grow. Students and young scholars have participated as much as public intellectuals, lawyers, doctors and development professionals in making this blog a thriving community. To say the least, this virtual journey has been not only stimulating in terms of quality exchange and dialogue which offer fresh perspectives, but also equally promising as it has helped generate extensive and wide-ranging analyses. It is our constant endeavor to offer insights into ICRC’s work – in the sphere of emergency response, detention management, international humanitarian law, restoration of family links, orthopaedic services and water and habitat – and we thank you for providing tremendous encouragement at every step. Our anniversary makes for an occasion to reward our readers and contributors. Take part in this quiz and the correct answers might win you some ICRC goodies along the way!! A draw from the top scoring entries will decide the lucky three. Submit your answers by 31st March to tanvia@icrc.org or post the same in the comments space at the bottom of the page. Who is the founder of the International Committee of the Red Cross? When is the World Red Cross Day? How old is the International Committee of the Red Cross? Where is the headquarters of the International Committee of the Red Cross? What is the expansion of IHL in the context of the work carried out by the ICRC? When was the ICRC delegation set up in New Delhi? What was the topic of discussion at ICRC New Delhi’s 4th Humanitarian Tiffin Talk? For which initiative was ICRC New Delhi delegation awarded certificates recently? What does our publication titled ‘Hotline’ highlight? 10. What is the color of the Red Cross? ICRC staff and their families are not eligible to participate.